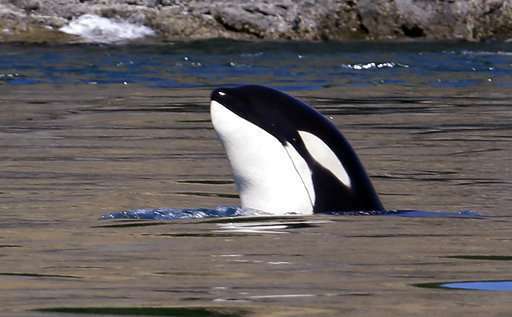 The project will sequence the genome—the entire genetic code of a living thing—of more than 100 southern resident killer whales using skin or other samples collected from live and dead orcas over the past two decades. Initial results are expected next year. The distinctive black-and-white fish-eating orcas have struggled with pollution, boat noise and a dearth of their preferred prey, chinook salmon. The death of a young orca last month—despite a weekslong international effort to save her—leaves only 74 in a group that has failed to reproduce successfully in the past three years. That's the lowest number in over 30 years. "This will help us fill in some really critical gaps in our understanding about why the population is not recovering," Mike Ford, director of conservation biology at the Northwest Fisheries Science Center in Seattle, said during a news conference in BGI's Seattle office. "As we fill in those gaps that will lead us to potentially better solutions." 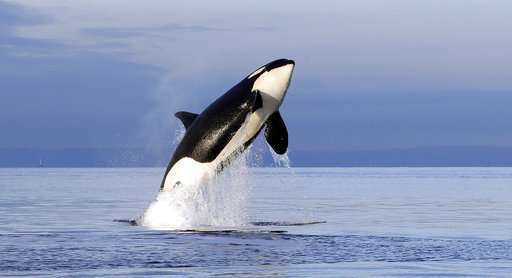 BGI will sequence the orcas' genomes and provide analyses and results to U.S. fisheries biologists and other scientists. They'll compare that research to the genomes of the Alaska population of killer whales that have been thriving, as well as mammal-eating transient whales.